Anyone who knows me know I’m a bit wild…for leopard prints. It’s my instant pick-me-up, a neutral that’s always in season and can elevate any ensemble from drab to well, kinda fab. But what’s even better is when your average feline takes on a wild color turn such as red, green, pink, and yes, the classic black and white! Will I ever get enough? Wow, ,, Georgous dress: )))? How caliente…..love the dress & the curves!!! You stunner! That dress looks flawless on you, love it! 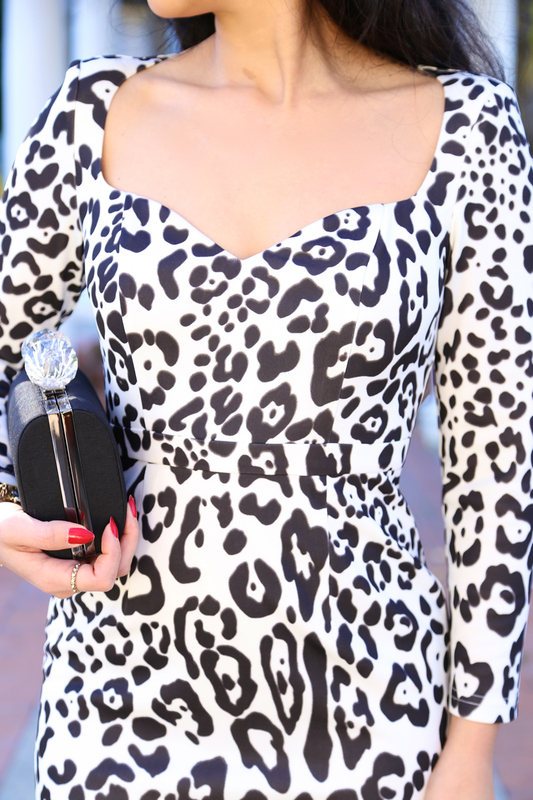 We share the same love for leopard, so you can imagine I’m dying for your dress! 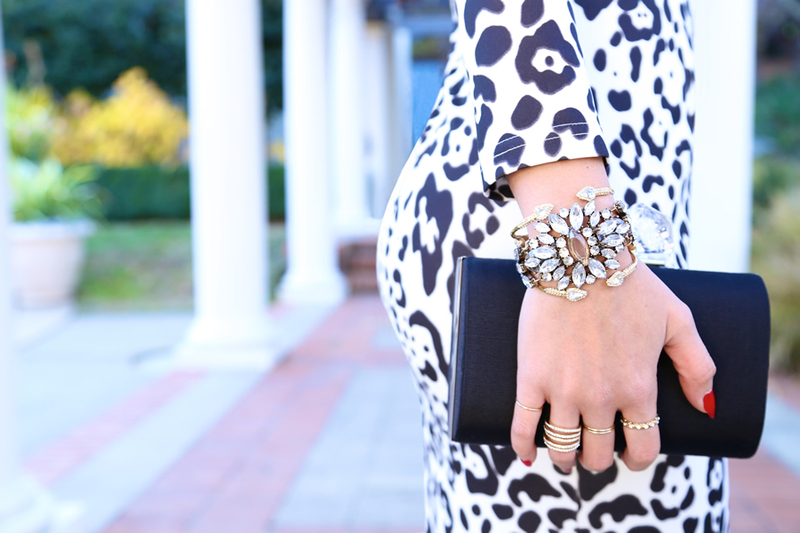 I’m crazy for leopard too and this is so good, love that it’s black and white. I love the neckline on this dress!